A young Christian man in the Buddhist-majority nation of Laos said he was severely beaten by members of his own family because of his decision to choose to follow Jesus Christ. Open Doors USA shared on Monday the story of Cheu, a 20-something who had to escape the "tyranny" brought by his own family because of his conversion to Christianity. "One day, my brother and uncle came to me and lied to me. They invited me to go to their house which I agreed to without hesitation. Little did I know that when we arrived at my uncle's house, they would beat me and tie me up with a rope. They told me that I need to return to my old faith, they would continue to beat me," Cheu shared. "They bound me with a rope with my hands behind my back. My brother, an average-sized man but with a solid build, used the side of his palms to hit my neck and face over and over again. I was tied from seven in the morning until seven at nigh." The young man explained that his uncle and brother warned him that they will hit him until he is dead unless he renounced his Christian faith. Cheu turned to God in prayer, asking Him to forgive his family and himself. "After praying, I lied to my brother and uncle and other people and told them that I would return to my old faith. So they untied me. After they took off my ties, I slept at my house. I went to my wife very early the next morning to pick her up since my in-law's house is very far from my house," he explained. "We hopped on a bus to escape and came here. Until now, my uncle and brother and my family still don't know where I am, and I heard that they are looking for me. I also heard that the village chief, my brother and uncle said that if I come back to our home in our village, they would hit me over and over again until I die." Cheu and his wife have since been assisted by an evangelical church that is providing them and other persecuted Christians food, shelter, love and comfort. "Though I miss my mother and despite what happened to me, I am still very happy that I believe in Jesus. I can worship Him and I can believe and I have peace in my heart. For me, I will stay here in this village and I will live here because I can worship and nurture my faith freely," Cheu said. Open Doors, which reports on and helps persecuted believers around the world, lists Laos as 24th on its World Watch List of worst Christian persecutors. "Christians refusing to participate in Buddhist practices are perceived as foreign and a threat to traditional culture," Open Doors notes. 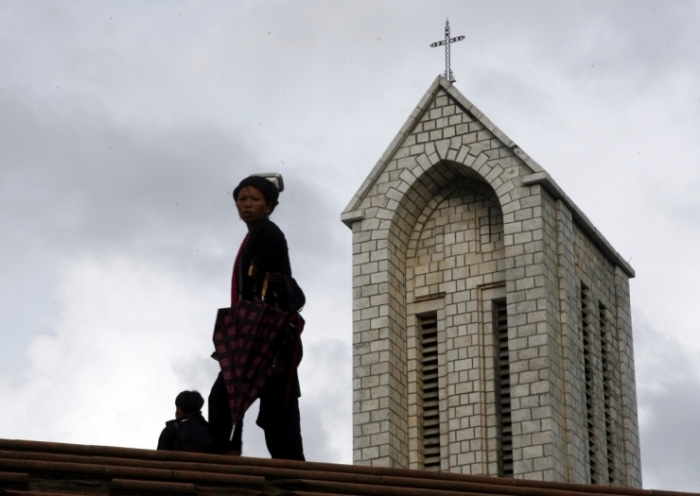 A number of stories of persecution in Laos have made international news. Authorities arrested a Christian man for praying with a sick woman back in 2015, after which they denied him vital medication and watched him die. Human Rights Watcher for Lao Religious Freedom said at the time that Tiang Kwentianthong, a Christian believer of Huey village in Atsaphangthong district of Savannakhet province, died from his diabetes condition and lack of treatment. The 61-year-old father-of-six "continued to suffer severe diabetes. During his imprisonment ... he requested permission to be treated for his worsening diabetic condition but the prison officials denied his request," the group reported. Tiang had reportedly been arrested nine months earlier when he and four other Christians prayed with a local woman who had recently converted to Christianity, but were caught without the necessary government approval to conduct public prayer.